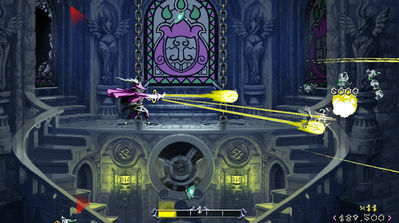 Savant Ascent (Android game) is a full-on last man standing-style blaster which takes place in a dark tower, where evil forces are invading. Your lone hero Savant must blast them out of existence while standing in one of two available spots. 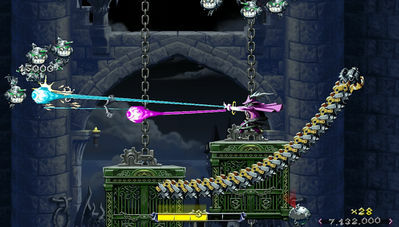 Based off Savant's universe, the game has you battling scrap robots to reclaim your tower. Fight your way up the enemy-infested tower, dodging and shooting your way to the top. 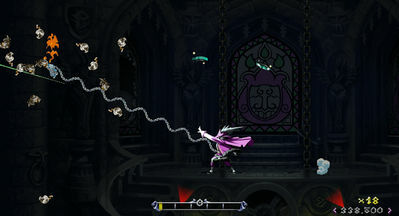 As you progress through the different stages, you'll unlock new Savant tracks, along with powerful upgrades. Clearing the game will reward you with new game modes, where you can try to beat your highscores, and unlock further content. Fixed a screen tearing issue on larger devices(Nexus 6, Galaxy Note, etc. ), adjusted controls, added animation options(animation defaults to ON, if you're device crashes when starting the first level, try turning these OFF from the options menu). Golden Enemies no longer dissapear in Endless Mode. You can now unlock the Space Level by obtaining the Philosopher's Stone. Install Apk, Copy ‘com.dpadstudio.SavantGame’ folder to sdcard/Android/obb, Launch the Game and play.